Meetings are an ideal time for you as an emerging leader to show up powerfully and establish your executive presence. You have a seat at the table, this in and of itself can sometimes be the most difficult part. Your colleagues and important decision makers are all expecting your input and contribution. I have been asked a number of times when I’m planning my next leadership workshops for 2019. 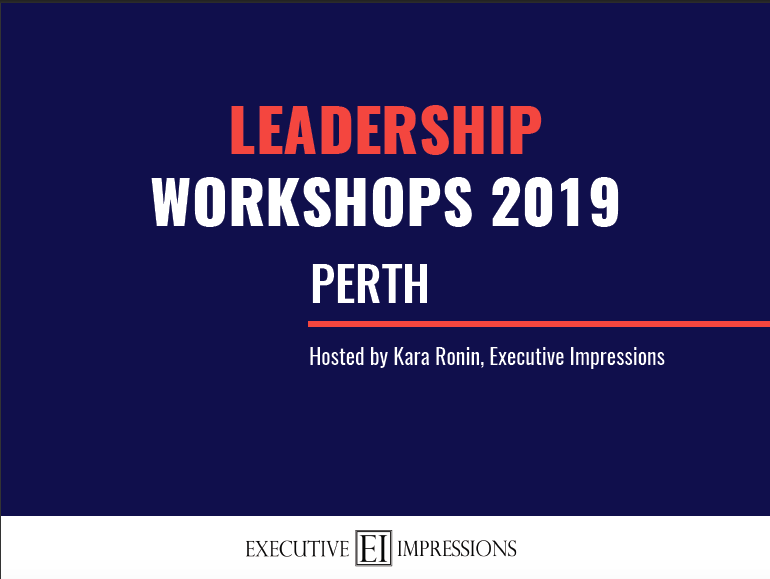 In this article, you will find an event schedule which outlines all of the leadership training workshops that I have planned in 2019 in Perth, Australia. You have worked hard to create a solid personal brand for yourself early on in your career. It has served you exceedingly well up until now as it has enabled you to position yourself as a leader in your industry. But things have changed. Leaders are expected to give feedback. It’s part of the responsibility when you’re in a leadership position. Others will be expecting you to inform them of what they’re doing right and what they can improve on. Authenticity is a key quality that many leaders strive to achieve. They want to present an authentic version of themselves to their team, clients and stakeholders. I completely understand this need. Who would want to feel like a fraud or pretend to be somebody that they’re not? When you’re on the journey toward leadership, it’s easy to get caught up in the qualities you “should” have as a leader or how you “should” be leading. Is Your Leadership Brand Ready for 2018? The end of every calendar year is the perfect time to re-evaluate your leadership brand and decide whether it will still support you in your growth journey for the following year.